If you are a Green Tea lover but you don't know what role it plays for a human body then this is something for you. Also I would request you to spread the word about this, since it is highly beneficial if consumed on an every day basis due to its numerous health benefits. Before moving to the benefits, lets discuss how to prepare and what is the best time to consume green tea. 5) Consume water and throw the leaves at the end. The best time to consume green tea is on an empty stomach in the morning and once in the evening. 1) Weight Loss - After reading this benefit, 100 out of 100 women will start from the day itself. Yes this is true. It helps body to burn the fat and bad cholesterol which in turn is good for heart too. Within a week, it improves a metabolic rate significantly which helps in burning bad fat. If you are not an exercise freak, just go to gym and watch others while having Green Tea. Green Tea helps in burning the belly fat and bad cholesterol. 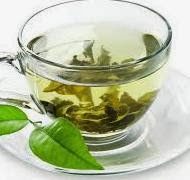 Green tea helps in buring bad cholesterol and so prevents harmful cardivascular problems in the human body. This helps in improving the ratio of good cholesterol vs bad cholesterol. It improves the antioxidant capabilities of the blood which in turn help preventing heart problems. 3) Skin : Green Tea contains antioxidants which protects the skin from harmful UV sun rays. It also helps in removing wrinkles from face. Additionally, it has shown good results in removing pimples also. It contains a potent antioxidant that kills free radicals. Because it is a potent antioxidant it can positively impact a lot more than skin cells. Free radicals are increasingly linked to many serious chronic illnesses like arthritis, diabetes, and cancer. 4) Diabetes : A must medicine for diabetics. Yes, I am using the word medicine in this section especially because its highly useful in lowering the sugar levels tremendously. Since insulin production lowers in the body, the generated sugar does not gets consumed easily. So, Green Tea helps in lowering the sugar levels which helps the body even though insulin levels gets reduced.